BW Technologies by Honeywell introduces an industry leader in design simplicity and user friendliness. The Gas Alert Quattro multigas detector is backed with years of research and development. The design pays particular attention to the needs of users when on the worksite, and eliminates unnecessary design elements that distract users and complicate equipment training. With this simple and easy to read gas detection system, safety managers can reduce training time and costs with confidence. The Gas Alert Quattro multi gas detector has several operational features that were designed to be simple, intuitive, and free of distractions. The one button operation system is glove friendly, intuitive, and requires very little training. Users can navigate the unit's operations with the press of a single button. This simplicity in design also helps to reduce training costs and time. Additionally, the device features an incredibly easy to read screen display that simultaneously broadcasts gas readings on all four gas sensors, battery life status, and device functionality. In addition to the user friendly features, the Gas Alert Quattro features several alarms and indicators that promote the highest safety standards. This unit highlights one of the most usable safety characteristics of all gas detection systems. The exclusive Intelliflash is a simple design feature that uses a green light to indicate to the user that the system is operating and functional. The green light flashes at regular intervals during all times that the device is operating. When the unit detects certain levels of atmospheric conditions or when the unit's operating system is comprised, the gas detector will alert users and those nearby with its 6 red LED visual alarms, a vibrating alarm, and an audio alarm at 95 decibels. This triple function alert is able to notify the user and anyone in the near vicinity of the potential atmospheric hazards. The Gas Alert Quattro is lightweight (weighing less than 12 ounces), compact in design, and has a long battery life (14 hours with AA alkaline batteries and 18-20 hours with rechargeable batteries). 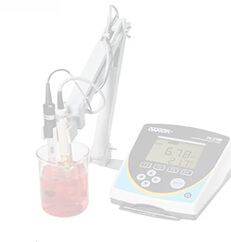 Its compatible design may be used with several separate accessories including the Microdock II, a carrying holster, an auxiliary filter, sampler motorized sampling pump, and a vehicle attachment. Other accessories may also be made available by BW Technologies. The device is currently designed for four gas sensors: Hydrogen Sulfide, Carbon Monoxide, Oxygen, and Combustible Gases. BW Technologies by Honeywell is dedicated to providing the world with state of the art gas detection systems and equipment. For over 100 years, Honeywell produced top quality products as they expanded from offering coal furnace thermostats to the numerous highly advanced products that they now produce as a global technology leader. BW Technologies is held in high regard throughout the world for its many gas detection devices and systems. The company consistently produces state of the art equipment and strives to be the world's leading supplier of gas detection systems. BW Technologies produces and manufactures a range of replacement sensors for your BW Technologies device. When in need of a replacement combustible sensor, BW Technologies produces some of the most reliable plug in sensors on the market. These heavy duty sensors are compatible for a range of BW Technologies instruments. For more information on compatible devices and product safety, please consult your device's specification sheet. 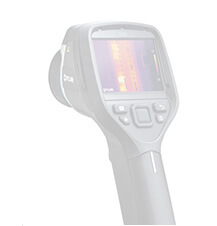 The GasAlert Quattro is a fully functioning 4 gas detection unit that is both durable and reliable. With a rugged yellow outer casing and built-in concussion proof boot, the gas detector is built to withstand harsh environments and accidental drops. Engineered with the most advanced technology available, the GasAlert Quattro is the industry's first choice in gas detection. The most distinct feature of the GasAlert Quattro is its easy to read display and gas indicators. The unit houses a large LCD display that provides constant visual confirmation of operation, gas monitoring, and compliance. 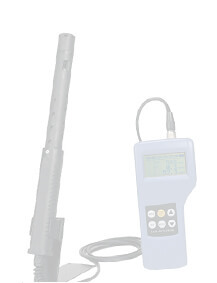 The easy to read screen largely displays real time gas concentrations for H2S, CO, O2, and combustible gases. Each gas alarm set point is fully user adjustable. The unit also features a simple intuitive one button operation that minimizes training costs and requirements. With the touch of a button, users can operate a variety of standard features, including standard operating language in English, Spanish, French, German, and Portuguese. Like many BW Technologies by Honeywell products, the GasAlert Quattro features a triple alarm system to alert users of hazardous atmospheric conditions. Wide ultra-bright alarm bars that are visible at multiple angles and when stored in pockets, audible alarms of over 95 decibels, and a high intensity vibrating alarm ensure that workers will be appropriately alerted regardless of the working conditions or sensory impairments. On activation, the GasAlert Quattro will automatically perform a variety of tests including sensor integrity, circuitry, battery, and alarm functioning. Additionally, the unit performs continuous monitoring on sensor and battery functioning to ensure the integrity and reliability of the device. For quick use and low maintenance, the GasAlert Quattro is equipped with an interchangeable and fully rechargeable battery pack. The unit may also be powered by an alkaline pack of 3 AA batteries. To ensure constant security, each unit is equipped with IntelliFlash that provides continuous confirmation of the unit's operation. This particular series utilizes a flashing green LED. Users and safety managers are constantly apprised of the safety of their workers and the functioning of their security devices. Utilizing the most advanced technology available, Honeywell's SureCell Sensor is a revolution in electrochemical technology. The patented cell technology is designed to detect a wide range of toxins while maintaining a resistance to common industrial gas interference errors. 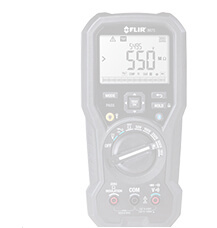 This focus on detection integrity improves sensor performance and reliability. For easy calibration and bump testing, the GasAlert Quattro is fully compatible with BW's MicroDock II automatic test and calibration system. Users can customize their GasAlert Quattro with additional accessories including a carrying holster, auxiliary filter, and vehicle attachment. The unit is also capable of complete datalogging and record keeping. GasAlert Quattro is highly transportable weighing between 11 and 12 ounces, depending on the attached battery pack. 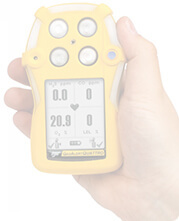 The gas detector also features a long shelf and battery life. Users can expect up to 14 hours of battery life with the AA battery pack and up to 18 to 20 hours with the rechargeable battery pack. A 2 year warranty is standard with every GasAlert Quattro purchase. If do not already own the standard four gas version of the GasAlertQuattro and are also in need of the confined space kit, then this is the best version to order. The short answer is that it is easier and faster. Unlike the Deluxe Confined Space Kit version (QT-CK-DL) which doesn't include the instrument or calibration gas, this version includes both. No need to order a separate monitor and separate calibration gas cylinder. The monitor is the standard CO,H2S,O2,LEL configuration, and the calibration cylinder that comes with it is the CG-Q34-4 which contains 100PPM CO, 25 PPM H2S, 18%/Vol O2, and 50% LEL CH4 (Methane). The reason there are two different confined space kits is that the Deluxe Confined Space Kit (QT-CK-DL) was designed for customers that already own the monitor and need to add the kit as an after market purchase, or customers that are purchasing a configuration other than the standard four gas. 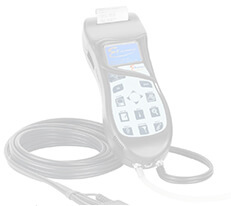 The BW Technologies Replacement Test Cap and Hose allows users to easily and efficiently transfer gas to sensor ports for remote sampling, bump testing, and calibration processes. The hose is approximately 12 inches long. The test cap is made of a durable black plastic that situates firmly on the gas detection device. This replacement part is compatible with a variety of BW Technologies gas detectors. The carrying holster by BW Technologies is designed to withstand workplace abuse and improve users grip. The black nylon holster is ergonomically designed to be convenient and unobtrusive in the workplace. The holster is comfortable to wear on a belt, in a shirt pocket, or clipped near the user's mouth or nose. The holster has a clear display that allows the user to view the screen while the device is in the holster and is open in the button area, allowing for easy access to operation and functions.